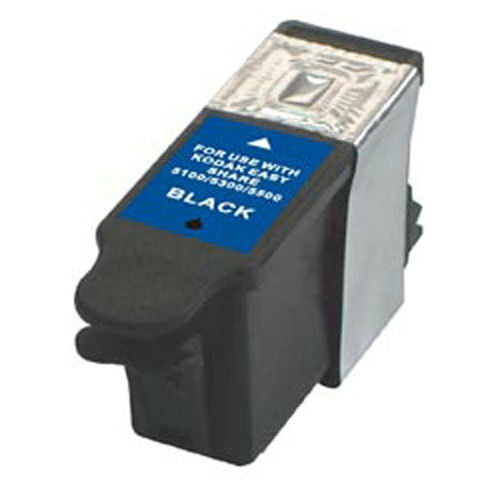 Kodak Easyshare 1215581 Kodak No.10 Black Compatible Ink Cartridge at unbelievable price saves you money without sacrificing quality. The compatible inkjet cartridge (also known as generic) are specially engineered to meet the highest standards of quality, reliability and exceptional yields that meet to exceed OEM (Original Equipment Manufacturer) standards and offer high-quality results. If you're looking for maximum performance, reliability and dramatic savings, this inkjet cartridge is the choice for you. These ink cartridges are wonderful. There is only a slight difference in print quality between actual Kodak cartridges and these off-brand cartridges. You may see some letters that have faint corners occasionally, however it has never bothered me. I have gone through about 4 of these so far, and have never had any problems. I'm using them with a Kodak ESP 7250 printer, as it uses the standard Kodak #10 cartridge, which is what this cartridge is compatible with. I would definitely recommend using these. They'll save you money and they work very well.